1. 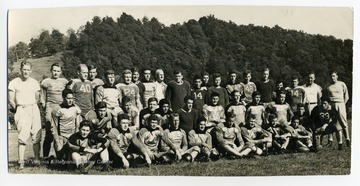 Monongalia High, State Football Champions, Morgantown, W. Va.
Monongalia High, State Football Champions, Morgantown, W. Va.
Group portrait of the Monongalia High School in Westover football team. 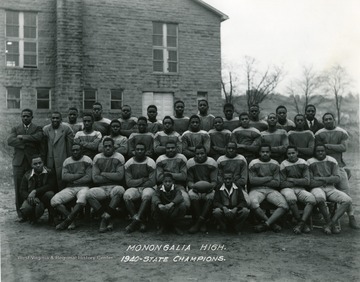 Monongalia High was a school for African-American students in Mon county. 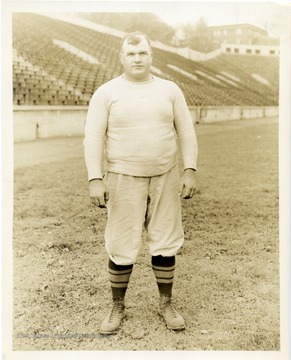 Portrait of Joe Stydahar, a tackle on the West Virginia University Football Team 1933, 1934, and 1935. 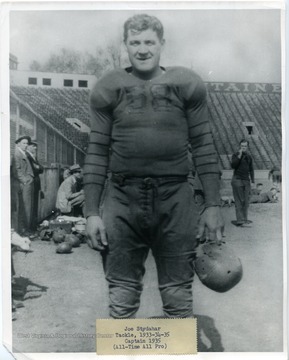 He was the captain of the football team in 1935 and all-time all pro. 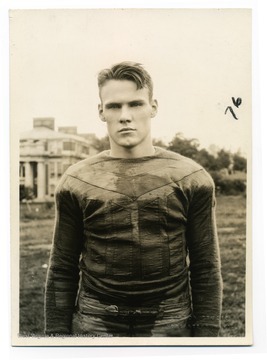 Portrait of Joe Stydahar, a tackle on the 1933 West Virginia University Football Team. 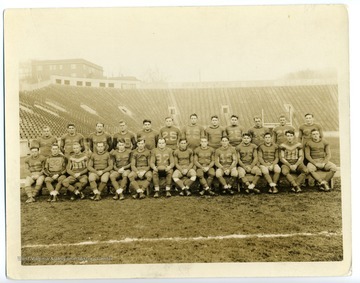 West Virginia University football players. Print number 202d. 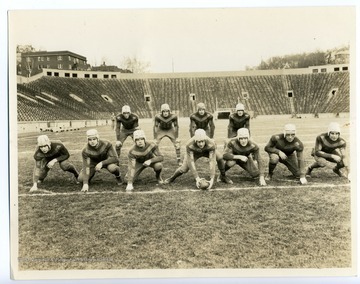 Group portrait of the 1930 WVU football team's offense. 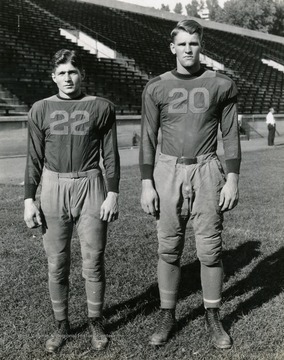 Photograph in the 1931 Monticola. 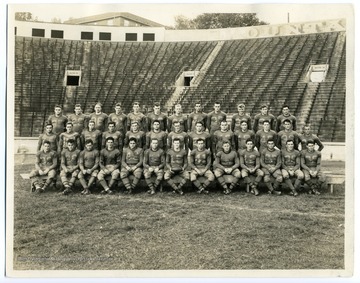 Group portrait of the 1938 West Virginia University Football Team. Standing first on left is Coach Glenn.